A company founded to bring transparency in electricity pricing through information gathered from over 3500 electricity providers throughout North America. The company’s aim was to put the data into the hands of electricity consumers and companies so that they could make informed decisions about when to use, store and sell electricity. The client chose us to create their web application for their users to help them in their electricity consumption decision making. The client’s requirement was to host a web based utility application targeting the electrical energy business segment, with end clients ranging from home owners to large corporate/ organizations. The Client needed an application that would empower electricity consumers with transparency in the electric pricing and tariff plans so that end consumers could make informed decisions about electricity usage. Interactions with the business owner, through Client visits to India, to brief and interact with the team. Poker Planning, Agile methodology with daily standups, sprints, and retrospectives. Daily 15 min interaction with the client during stand-up, to ensure maximum communication and quick reactions. A Rating engine to suggest a tariff plan suited to the User’s needs with 99% accuracy. Provide information on electric pricing and tariff plan, letting Users make an informed decision about usage. Send signals or schedule operation of any connected device using customer-specific electricity prices. Navyug Infosolutions consistent, high quality work has been a major factor in Genability’s success. Users could charge their EV(Electric Vehicles) and run appliances when electricity was at its cheapest, thus saving money. 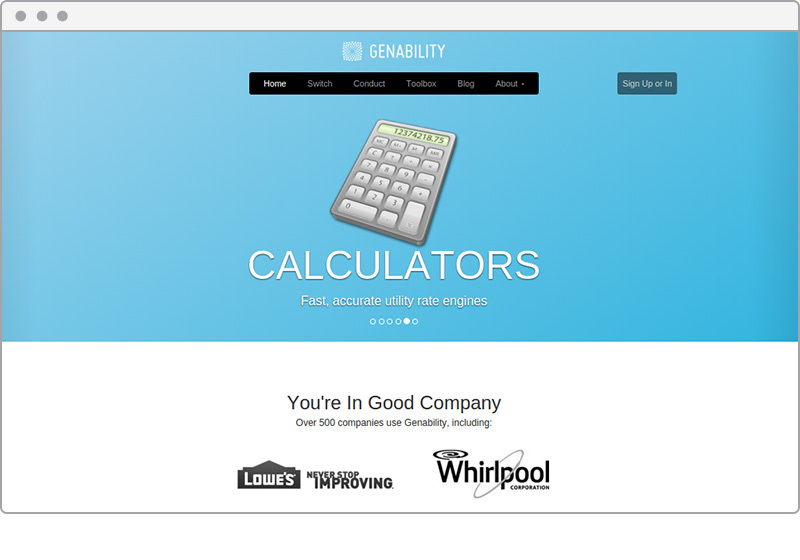 Genability was able to suggest the best rate plan to customers, thus increasing customer loyalty.